RED DRAGON CARTEL, the band founded by former Ozzy Osbourne / Badlands guitarist Jake E. Lee, released their sophomore record this past week. ‘Patina‘ was issued through Frontiers Music Srl. on Friday, November 9th. With it comes an announcement that RED DRAGON CARTEL will be hitting the road next February for a full U.S. Tour (plus a date in Toronto). The tour kicks off February 23rd in Reno, NV, and is scheduled to wrap up April 2nd in Queens, NY. A complete list of dates can be found below, tickets can be purchased at the band’s website HERE. All early indications reveal that the ‘Patina‘ album is a slab of molten rock and heavy blues, chock full of Jake E. Lee‘s signature style of guitar prowess. Musicians joining Jake on the album, and in the band, include bassist Anthony Esposito (ex-Lynch Mob / Ace Frehley), drummer Phil Varone (ex-Skid Row / Saigon Kick), and returning vocalist Darren James Smith. ‘Patina‘ was mixed by the famed Max Norman, whose relationship with Jake dates back to his days with Ozzy Osbourne (and recently also mixed the first full-length release from The Watchers, ‘Black Abyss‘). ‘Patina‘ is available now on CD / LP / Digital formats for purchase and streaming at this LINK. 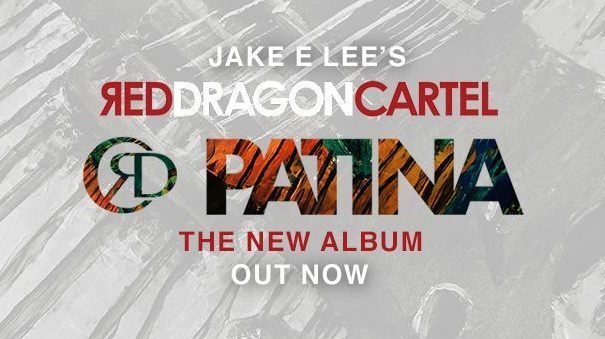 Today, Riff Relevant brings you a pair of videos for two songs from ‘Patina‘; both “Havana” and “Crooked Man” successfully channel the incredible stylistic range that RED DRAGON CARTEL possesses. “Havana” is a fast paced, bluesy heavyweight that ripples with riveting grooves and catchy-as-hell hooks, while “Crooked Man” is a slower, simmering chunk of alt. metal that detours into almost pop type choruses. Check these clips out and below them, find the tour itinerary for RED DRAGON CARTEL‘s upcoming 2019 Tour. 2019, Album Art, Anthony Esposito, Canada, Darren James Smith, Frontiers Music Srl., Jake E. Lee, Max Norman, Official Video, Phil Varone, Red Dragon Cartel, Rock, Streaming, Tour Dates, U.S.